As mentioned in a previous post, it’s not that easy to find places to eat at lunch as most restaurants only open for dinner, from 3pm. 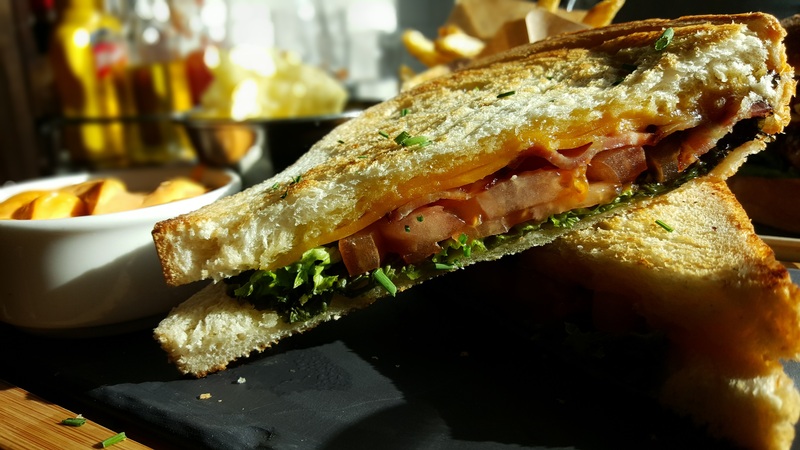 For us, lunch is much more convenient as we can bring the kids along on week-ends and it allows me catch up with friends and recharge my batteries on week days. Why cosy lunch? It’s too easy to go to McDonald’s, a cheap Asian or Kebab place for lunch. 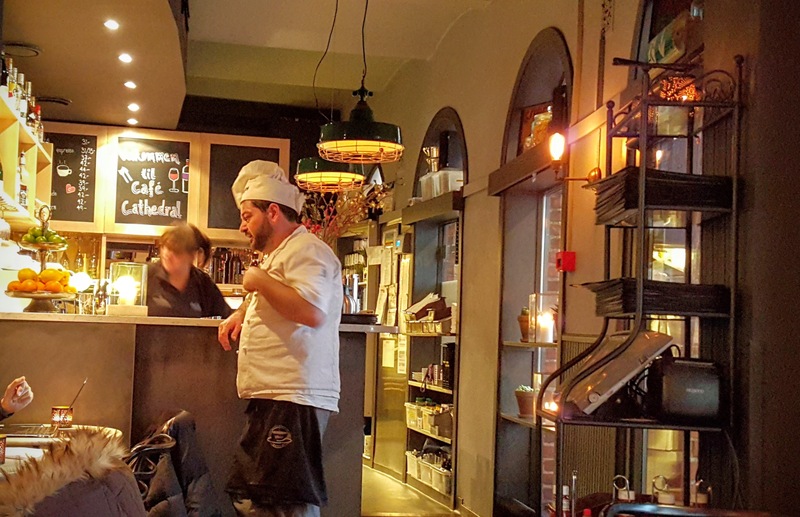 But did you know that you can still enjoy nice lunches with good food for less than 170 Kr (approx 17 euros) in a pretty and cosy decor and atmosphere? I’m always on the look out for destination places where I can relax, and spend some quality time with the people I like without getting a strong smell on my clothes. My husband, who’s also a pho connaisseur can tell the broth has no added MSG.I appreciate the freshness of this traditional vietnamese beef noodle soup whereas the children prefer the broth from less fancy Asian places. 145Kr for one bowl of pho, is pretty good value given the location, decor and service. In the Brugata area, the cheapest pho we found is around 129 Kr in places like Hai Cafe and the most expensive can go up to 170 Kr in places like Lille Saigon which for some reason acquired a massive brand awareness and reputation. If you have more budget, go for their deep fried spring rolls and their Vietnamese iced coffee. White table cloth, real flowers, sophisticated lamp shades, this is appropriate for business lunches where they offer great service including a sommelier. It’s all decorated with taste, featuring a collection of ancient pots and bowls. We went for lunch on a Saturday with the children and had a very warm welcome from the owner, who like me, grew up in France! TGI Fridays’ Endless Appetizers 159Kr per person. ALL YOU CAN EAT! 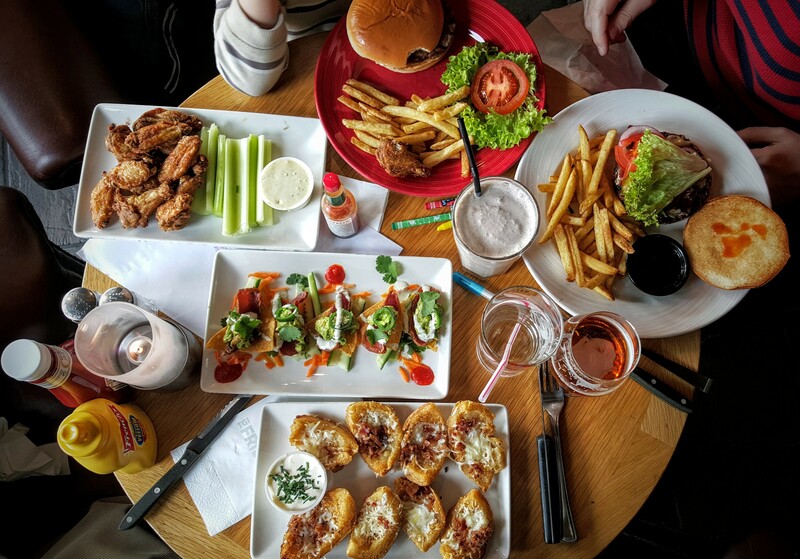 TGI Fridays is a safe placed where you know there will be colouring and balloon for your children, a kids menu and lots of choice in the menu. TIP: Endless appetizers is a special that ends 15 April 2016, Be quick! We chose a table by the window with chesterfield armchairs and a view on the harbour and the boats. We were filled with natural light and could watch the biathlon World Championship too. A couple of minutes later, around 12.30pm, lots of people arrived and had to queue to get a table. It took me a while to notice this place on Bogstadveien but when I saw the sign and the type font, I know Homan Bistro and Bar, by the Homansbyen tram and bus station, would be a cool place to hang out at. Oh and they thanked me for mentioning them on Facebook, that was nice. I wonder why the other couple of hundred of restaurants where I checked in and left comment never commented back? Although the beer selection is extensive and impressive, the food menu is pretty short with your classic burgers, pulled pork sandwiches and the BLT served with chips as in crisps and a chilly mayonnaise that I asked to be served on the side just in case it would be too chilly for my liking. 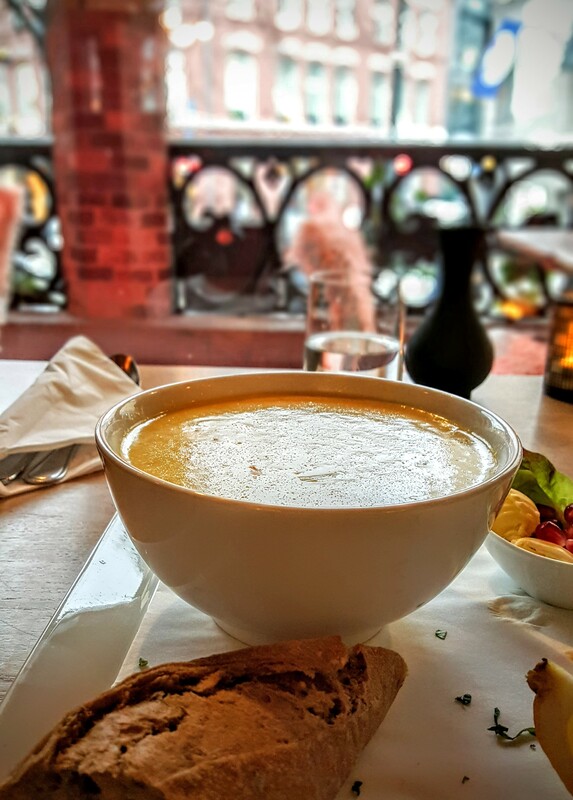 Terrasse, seats by the window, fireplace, wooden warm cosy decor, fresh flowers on the table…you have it all here. Monday and Tuesday: 11.30am to 11pm, Wednesday and Thursday: 11.30am to 1am, Friday 11.30am til 2am! Saturday 11.30am til 3am!, Sunday 12pm til 11pm. Cafe Cathedral is iconic as it is located in the Oslo Domkirke, the massive red brick cathedral in the heart of the city. Paul McCartney and Jessica Lange have been there! The menu is more suitable for breakfast and brunch but when I went in the middle of winter I felt like something warm and a bit rich. I picked their fish soup which came with amazing bread, butter with fresh pomegranate fruit and it was…. so rich that I regretted I finished my bowl! Not only is the outside very unique and full of history, the inside has been renovated a year ago and feel clean and cosy. Outside there is a heated terrasse and inside we were placed right by the window overlooking the street. I also caught a glimpse of the chef having a discussion with a patron, it felt local and real. Monday to Friday from 9am. It doesn’t specify when it closes. I already wrote about Olivia in a previous post but I’d like to recommend something from their menu that I recently discovered and enjoyed a lot. I went with a friend and we shared a Mare Monti pizza and a Truffle risotto. The Mare e monti pizza is cream based, not tomato base and their Mare, sea component are fresh garlic prawn and their Monti, mountain component is pork meat. Very tasty! The truffle risotto wasn’t too rich, nor overpowering it was just perfect. When you add the two dished and divide by two it’s about 165 Kr per person. Big heated terrasse, lounge music on friday afternoon, this is a very cosy place to hang out. Inside, there a fireplaces, a real tree, very nice decoration. There are three Olivia restaurants in Oslo: in Aker Brygge, in Tjuvholmen and in Hegdeghausveien. Oslo lunch deal at Jensen’s Bøfhus: FAIL Seafood fine dining in Oslo: Tjuvholmen Sjømagasin St Lars, Bislett, best steak in Oslo and beyond! Must do in Oslo: a trip to Ikea! Next article Life of an expat family in Norway: our first 17th May!